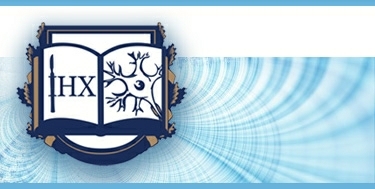 Research supervisor – Prof. Tsymbaliuk Vitalyi Ivanovych, a corresponding member of the Academy of Medical Science of Ukraine, a State award winner, an honored science and technology worker of Ukraine, M.D. (since 1998). Department head – Stepanenko Iryna Volodymyrivna, M.D. (since 1987). The department was created in 1987. Upon the opening of the chair (headed by Prof. L.E.Pelekh) of rehabilitation of neurosurgical and neurological patients the institute started to rehabilitate neurosurgical patients. The chair was based in the institute between 1969 and 1980. – management of functional disorders of cerebral nerves (III, VI, VIII, IX, X, XII pairs), motor, statocoordination, mnestic disorders, functional disorders of pelvic organs, etc. in neurosurgical patients. – study of the specificity of cerebral disorders in patients exposed to ionizing radiation as a result of the Chernobyl nuclear power plant disaster. The Department is located in the 5st building of Romodanov Neurosurgery Institute (see Institute scheme).